The Rev. Robert H. Schuller built the Crystal Cathedral, one of America's first megachurches, from the ground up but now the 84-year-old has been voted out by the church's board. In a statement issued by the church Monday, church officials said Schuller's role with the board was merely changing. Schuller's granddaughter, Angie Schuller Wyatt, said the board voted him out because he had been advocating adding more members to the board. Venezuelan President Hugo Chavez vowed on Monday to conquer cancer and said his "return has begun." He spoke from the balcony of the presidential palace the same day he arrived unannounced in his nation's capital and one day before the country is set to celebrate its bicentennial. Chavez, dressed in military fatigues and wearing a red beret, appeared in good spirits. His speech was uncharacteristically short. Montana's governor pushed for answers Monday as to why additional resources have not been devoted to clean up the Yellowstone River, days after hundreds of barrels of oil seeped into the rushing waters after a pipeline ruptured. ExxonMobil reports at least 200 people have converged on the area near Billings. 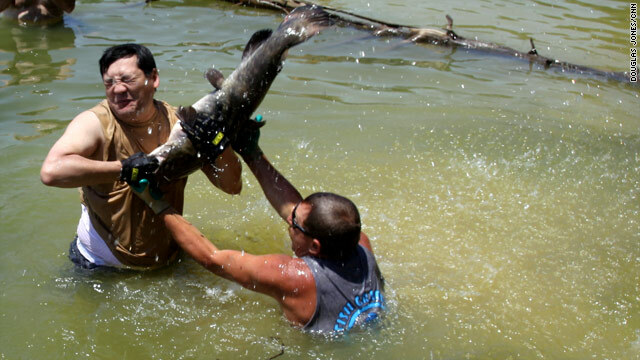 "Not all the assets that we wanted are here, and we're going to find out why," said Gov. Brian Schweitzer. Joey Chestnut has won his 5th consecutive mustard-yellow belt at this year's Nathan's July 4th International Hot Dog Eating Contest at Coney Island. He ate 62 hot dogs in ten minutes, six shy of his world record of 68. Adding intrigue to this year's competition, one-time reigning champ Takeru Kobayashi, who was effectively locked out of the competition due to a contract dispute with Major League Eating, wolfed down 69 frankfurters at an offsite event in New York. This year Nathan's shook up the competition by breaking it up into a women's and men's division. Sonya Thomas - known in the competitive eating world as the Black Widow - ate 40 hot dogs to win the women's event. She hoisted a pink belt, the female version of the coveted men's mustard belt, above her head as she became the first woman to win the separately event. "She looks so lovely. Not once has she violated table manners," the announcer said while rooting Thomas on. "She's absolutely an elegant lady. And yet she has the jaw of a German shepherd." Thomas destroyed the competition. Juliet Lee finished second with 29 1/2 hot dogs. The Sree Padmanabhaswamy Temple is in Thiruvananthapuram, the capital of the southern Indian state of Kerala. A court-ordered search of vaults beneath a temple in India has turned up a treasure worth at least $11 billion, according to reports from the Indian state of Kerala. The wealth was amassed in at least six vaults, some of which had not been opened in 150 years, according to media reports. 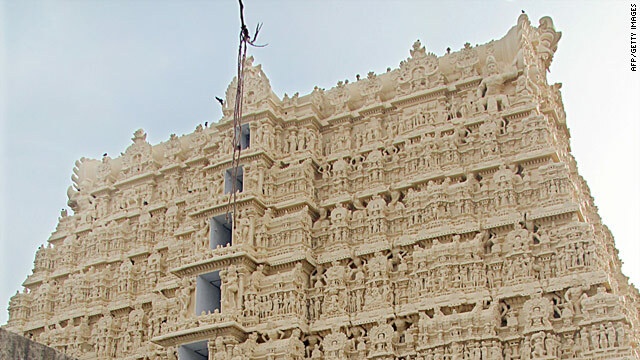 India's Supreme Court ordered an inventory of the vaults after hearing a private complaint seeking "more transparency and trustworthiness in the temple administration," according to a report on the news website daijiworld.com. 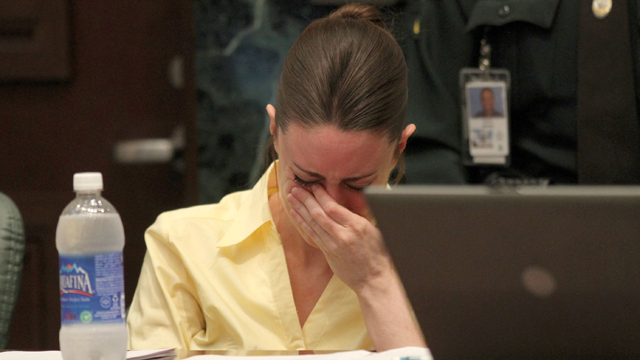 Casey Anthony's actions, particularly those in the 31 days after her 2-year-old daughter went missing and before police were notified, speak volumes about her guilt, prosecutor Linda Drane Burdick told jurors in Casey Anthony's capital murder trial Monday. Burdick reminded the jury that she went through each one of those days in her opening argument as the trial began, asking "Where is Caylee?" "The question is no longer 'Where is Caylee?' We know where Caylee Marie Anthony is," Burdick said. "The question is no longer 'What happened to Caylee Marie Anthony?' We know what happened to Caylee." But Casey Anthony's actions and responses "answer for you the only real question left at this stage of the proceedings, and that is who killed Caylee Anthony," Burdick said. Jurors are expected to begin deliberations later in the day on whether Casey Anthony is guilty of first-degree murder and other charges in the 2008 death of her 2-year-old daughter Caylee. Pittsburgh Pirates center fielder Andrew McCutchen makes a sliding catch in June. SI.com: America's game; Record-setting votes and an All-Star snub? Good work MLB fans. As SI.com's Joe Lemire points out, baseball fans seemed to make the right calls this year when it came to selecting 2011's All-Star teams. Jose Bautista and his record-setting 7.4 million votes certainly prove that. 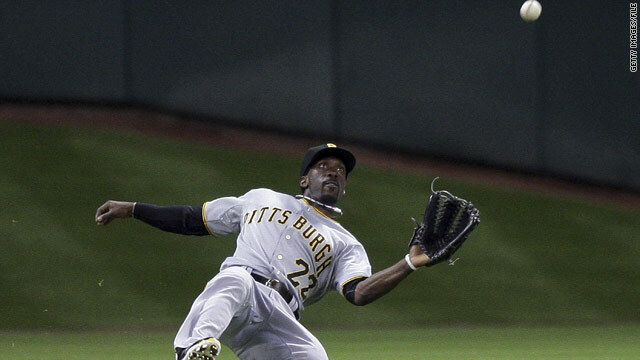 But the biggest snub this year may be Pirates center fielder Andrew McCutchen. "The Pirates have started to win more, but the credit hasn't followed suit," Lemire writes. "McCutchen has been the club's best hitter by far this season, leading the surprising team (only 2 1/2 games back in the NL Central) in nearly every category: average (.289), on-base percentage (. 390), slugging (. 493), OPS (. 884), runs (48), home runs (12), stolen bases (15), doubles (20), triples (3), walks (46) and total bases (150). As importantly, he ranks third in the majors at that position with a 6.9 Ultimate Zone Rating, meaning he's saved nearly seven runs with his glove. That's an outstanding figure, even if it's far off Diaz's unrealistic projection." Other players who will be hoping for a much-deserved spot on the All-Star team: Yankees starter CC Sabathia, Rays second baseman/right fielder Ben Zobrist and Braves starter Tommy Hanson. Though the grills will be going this July 4th, don’t forget to catch some MLB action tonight. Casey Anthony is accused of killing her 2-year-old daughter, Caylee Anthony, in the summer of 2008. It's the capital murder case that's held our attention this summer. But has the prosecution proved beyond a reasonable doubt that Casey Anthony intentionally murdered her daughter? The jury is beginning their deliberations today, and now it's your chance to weigh in. You've gotta watch the most pivotal moments from the defense and prosecution and judge for yourself whether Casey Anthony is guilty or innocent. 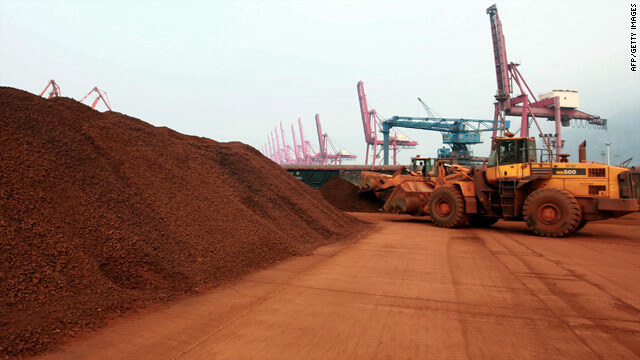 Soil containing rare-earth elements is loaded for shipment to a Chinese port last year. Key raw materials necessary for modern devices such as cell phones, laptop computers and flat-screen TVs may be found in abundance on the ocean floor, Japanese scientists report in the journal Nature Geoscience. Yasuhiro Kato and his colleagues at the University of Tokyo say they surveyed 78 sites on the Pacific Ocean floor and found high concentrations of rare-earth elements and the metal yttrium. "We estimate that an area of just one square kilometer, surrounding one of the sampling sites, could provide one-fifth of the current annual world consumption of these elements," the scientists report. And, the scientists say, the rare earths might not be difficult to extract. "We show that rare-earth elements and yttrium are readily recovered from the mud by simple acid leaching, and suggest that deep-sea mud constitutes a highly promising huge resource for these elements," they wrote. That would be good news for the market for rare earths, 97% of which now come from China, according to media reports. Recent Chinese moves to limit exports of rare-earth minerals has caused price spikes, Mother Nature News reports. "People talk about mining on the asteroids or the moon. This isn't that hard, but it's similar." But based on what we make with these minerals (read the Mother Nature News report), it may be a task the world want to take on. 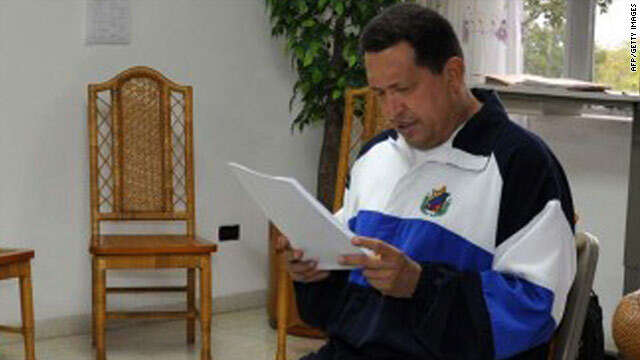 President Hugo Chavez has been in Havana, Cuba, for treatment of a cancerous tumor. Venezuelan President Hugo Chavez has returned to the nation's capital of Caracas, state-run VTV reported Monday morning. The network showed images of Chavez leaving Havana, Cuba and arriving in Caracas, reporting that Chavez returned to Venezuela at 2 a.m. local time. Chavez has been in Havana for weeks undergoing treatment after doctors performed emergency surgery. He announced last week that they had removed a cancerous tumor. Speaking to VTV after his arrival, Chavez said, his plane had made a "perfect landing" and he was feeling fine. "I am well. I am happy," he said. He said his return reminded him of a song, and began singing the words "beautiful night." He was surrounded by a crowd of grinning supporters. Venezuela celebrates its bicentennial Tuesday. 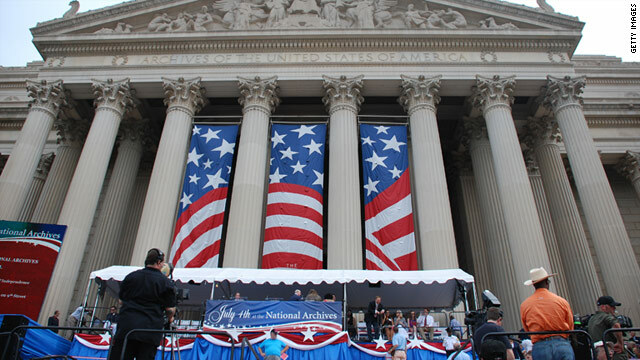 The Casey Anthony case could go to the jury today, while America celebrates its 235th birthday. Watch CNN.com Live for continuing coverage on these developing stories. 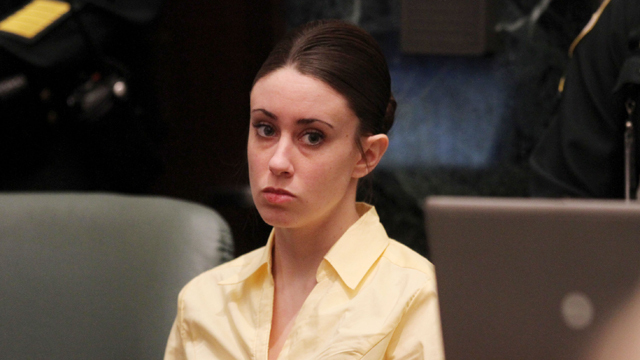 8:30 am ET - Casey Anthony trial - Jurors may begin deliberations today in the case of the Florida woman accused of killing her young daughter. Competitors down hot dogs in last year's contest on Coney Island, New York. 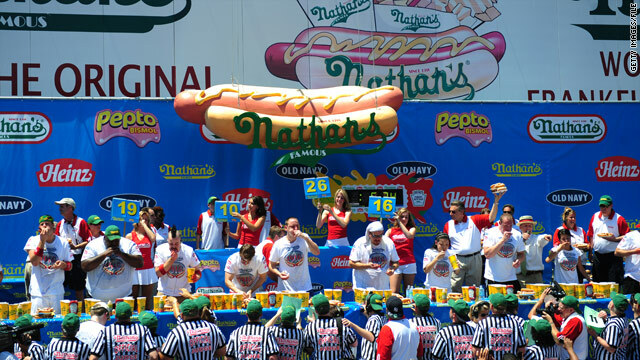 Hot dog contest: For the first time in the 96-year history of the Nathan's July 4th International Hot Dog Eating Contest, the competition will include men's and women's divisions. Male and female contestants will vie for equal purses of $20,000. The men's champ gets a mustard-yellow belt, the women's champ a pink belt. World record holders are Joey "Jaws" Chestnut, who two years ago ate 68 hot dogs and buns in 10 minutes, and Sonya "The Black Widow" Thomas with 41 hot dogs and buns. Watch live coverage from Coney Island, New York, on ESPN beginning at noon ET. Yellowstone cleanup: Dozens more workers have joined the effort to clean up an oil spill that dumped hundreds of barrels of crude into Montana's Yellowstone River, ExxonMobil said. ExxonMobil said between 750 to 1,000 barrels (32,000 to 42,000 gallons) of oil escaped late Friday when a pipeline ruptured beneath the river near Billings. Some of the oil has washed ashore or formed pools of "milky brown" residue in river eddies, Yellowstone County Sheriff Mike Linder said. High water and a swift current have helped break up the spill, local officials said. But cleanup efforts have been hampered by flooding that has made it harder to track and clean up the oil, said Linder and Duane Winslow, the county's emergency services director. Royal trip: Prince William and his wife, Catherine, will tour Prince Edward Island, the fifth day of their Canadian tour. The Duke and Duchess of Cambridge will start the day with a visit to Province House, the second oldest active legislature building in Canada. Later, Prince William will emphasize the Canadian military's contributions to the training of search-and-rescue pilots by taking part in a "waterbird" emergency landing exercise in a helicopter at Dalvay-by-the-Sea. On Monday evening, the royal couple will travel to Yellowknife, in the Northwest Territories, for the next phase of their trip.